As any long-term coffee drinker will tell you, at the foundation of a great cup of coffee are the coffee beans which are ground for it. These beans preserve the essential oils and flavors that are locked inside of them. These oils and flavors can then be extracted for a great cup of coffee. However, these essential parts of the beans quickly dissipate after they’ve been ground, which is why fresh grinding your own coffee is the best way to brew. Grinding lower quality beans isn’t going to work out very well either. In order to get the most out of your coffee drinking experience, you need the best beans that you can find. Ones that meet strict criteria and engage all of a person’s senses. Keeping that in mind, we’ve selected ten of the best coffee beans for your drinking enjoyment. Starbucks Komodo Dragon blend features ethically sourced Arabica coffee beans that have been roasted to a nice dark roast. This gives it an earthy taste that’s enhanced with the notes of green herbs and a cedar-like spice. In each bag are different beans sourced from Asia and the Pacific. Whether these beans are ground for French or Italian style coffees or used for making Turkish coffees, it’s sure to provide the necessary kick the coffee enthusiast wants. And it’s a strong, bold taste that is never too bitter and provides just enough caffeine to get one up and running in the morning. As it says on the front of this coffee’s label, it isn’t for the faint of heart. That’s because it’s a blend of whole Arabica beans that have been sourced from both Central and South American coffee growers. They then take these exceptional beans and roast them to a very dark roast. This allows the essential oils that provide the taste and aroma of a coffee to bubble up toward the surface. When ground, these flavors will then be conveyed into the end result. A nice smoky flavor that’s brilliant and intense but is never too bitter. It’s robust enough to provide a small acidic kick. Where do Luwak coffee beans originate? They begin their lives having passed through the digestive tract of a mammal called a civet that lives on coffee plantations in Indonesia. This partial digestion of these beans causes them to develop a sweet, smooth flavor that can’t be found in any other bean. Before they begin that process, however, they grow at high altitudes, anywhere from 3,600 to 5,000 feet, which also contributes to their flavor profile. They are typically grown without fertilizers and are environmentally friendly. All of this comes together to make a bean that’s low acid and has earthy undertones. Why settle with just one blend of coffee beans when you can have three different blends in one set? This box set features three distinct barrel aged beans that are single sourced from three distinct countries. There is a Sumatra Single Malt Whiskey Barrel Coffee, which is a blend of caramel, vanilla and tobacco notes. There’s also an Ethiopian Rye Whiskey Barrel coffee which has notes of Dutch chocolate, peach jam, and raw honey. There’s also a Rwanda Rum Barrel Aged Coffee which has notes of toffee and molasses. All of these can be ground and brewed as separate coffees or mixed to make an exceptional blend. Sourced from Colombian Supremo beans that have been dark roasted, these beans are designed to provide a coffee that’s neither too watery nor too bitter. When ground these beans will make a coffee that’s slightly sweet, is fairly smooth and has a nice rich deep coffee flavor. It comes packed in a 3-layer bag that contains layers of natural kraft paper and foil. This ensures that the beans stay fresh as long as possible. Whether these beans are used to make espresso, Neopolitan coffee, or French press coffees, it’s sure to deliver that rich flavor directly to the coffee enthusiast’s taste buds. Sourced from Fair Trade Costa Rican beans and roasted in Austin, Texas, these hand-selected coffee beans deliver an exceptional flavor that’s sure to give anyone a pickup. When ground up, these beans will create grounds which have subtle hints of chocolate notes combined with both hazelnuts and caramel notes. These medium-roast beans deliver a bold flavor that doesn’t have the bitter aftertaste that many other beans do. And since they’re roasted in small batches, the coffee connoisseur can rest assured that they’re getting beans that are as fresh as humanly possible. It’s a coffee that will help anyone find their happy place in the world. When it comes to Italian coffee, there is one name that stands above the crowd and that’s Lavazza. These Super Crema Espresso beans are made from a blend of 60% Arabica and 40% Robusta beans; A perfect combination with which to make espressos, cappuccinos or other types of Italian coffees. These beans are specially selected and roasted to be ground and used in espresso machines. They produce a bold flavor and will develop a beautiful crema during the espresso making process. They produce such a nice result that many people claim that these beans make for a truly authentic Italian coffee drinking experience. Subtle Earth Organic Coffee Beans are a different type of beans that is capable of delivering exceptional flavor without being grown in a way that would harm the environment. They are grown high up in the Honduran mountains where there are few insects, and as a result, insecticides are necessary to keep them bug-free while growing. They’re also grown without chemical fertilizers, and only the fruit of the coffee plants are used to feed the plants. These beans are then patio-washed and dried, which results in a beautiful medium dark roast that has a silky smooth body, depth and is not very acidic at all. Blended with 100% organic beans that are sourced from Indonesia. Central America and South America, Valhalla Odinforce Beans have a kick to them that can’t be replicated by other bean blends. According to their company, this artisan roast coffee has been specifically blended for guitarist Zakk Wylde. 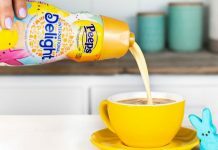 It has a high caffeine content and has a bold taste to it. With nutty, chocolatey and sweet notes, this coffee starts strong but ends up with a smooth finish that’s extremely satisfying. This bean blend will pick the coffee enthusiasts and give them the boost they need to get through their day. These premium beans are sourced from only USDA certified organic and Fair Trade coffee farms, and are then roasted on high-quality Loring roasters. The result of all of this work is this product being one of the strongest and boldest coffees on the market. Their premium green coffee beans are then dark roasted to bring out their essential oils and fantastic aroma. When all of these oils and flavor are released by the grinding process, they produce a brew that’s teeming with subtle cherry and chocolate notes. 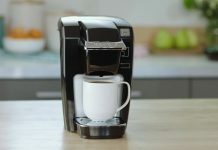 It also produces a coffee that has more caffeine than what’s found in most store-bought coffees. 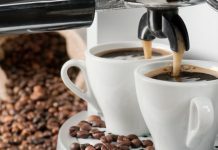 As I mentioned in the introduction to this article, the foundation of your morning coffee is formed from the coffee beans which are ground for your cup. If you don’t use a whole bean for coffee that’s fresh, sourced correctly, and roasted perfectly to your tastes, then you’re ultimately going to be disappointed by your drink. It doesn’t matter if you’re having a cup of Joe, a cup of Irish coffee, an espresso, mocha, latte, or any of the other coffee drinks currently available. If you start off with sub-bar beans, then you’ll end up with below average grounds, and that will result in a not-so-great cup of coffee. 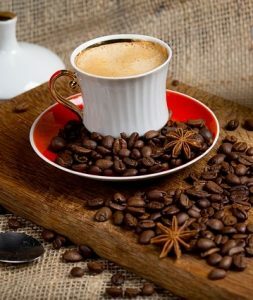 Unfortunately, the problem that most people face is the sheer number of coffee beans currently available on the market. It seems like everywhere you turn, there are beans which are claiming to be the best. This is partly due to marketing, but it is also partly due to the fact that there are some great beans out there. In fact, you can say that there is a glut of good coffee beans. However, just because these products are good, doesn’t mean that they’re the best ones for you. Finding the right beans is almost as big of an art as grinding and brewing those beans into a satisfying and rich coffee drink. In order to find the best coffee beans available, you really have to do your homework and pay attention to several different criteria. To help you out, we’ve put together a guide on how to buy coffee beans. Coffee can only be grown in a very specific area near the equator called the Coffee Belt. This is the zone between 25-degrees north and 30-degrees south. Fortunately, there are more than 50 different countries which produce coffee in this region, so a coffee enthusiast is never without his or her options. On the other hand, choose from one of these marvelous coffee beans can be a real hassle and will require some serious homework. We’ve listed some of the characteristics of some of these beans, but first, a point has to be made. If you try a certain bean from a particular country and it doesn’t suit you, then don’t be so quick to write it off. Coffee beans are temperamental and adverse weather conditions can have a disastrous effect on a bean’s flavor profile. So if a particular coffee isn’t good one season, then try it again next season. If you still don’t like it, then find that bean isn’t right for you. But you may find out that a particular bean didn’t meet your standards just because of how it was produced. Just a little something to keep in mind. Now, let’s go over some of the main coffee bean countries and the characteristics of their coffees. Colombia – Nutty notes mingle with a caramel sweetness. These beans are generally mild and have a well-balanced acid profile. Brazil – Coffee beans from Brazil can vary greatly, but some of the better coffees have a low-acid and medium body profile. Guatemala – Beans produced in this region have a spicy flavor, some of them are kind even have a chocolate profile. They also tend to be very complex and rich blends. Costa Rica – Sharp acidity and medium body is often the characteristic profile of these beans. Kenya – Beans from this region are fruity, slightly acidic and sharp. They also ten to have a lovely fragrance and a rich body. Ethiopia – Earthy, full-bodied and flavorful are three ways to describe coffees made from these beans. Ivory Coast – These beans generally have a light body and are somewhat acidic. Which is why they’re often dark roasted and used to make certain blends of espresso. Yemen –These beans have a deep rich flavor and body that’s unlike other types of coffees. Indonesia – These beans are slightly acidic and have a full-body. Sumatra – Chocolate and syrupy notes with a full-body taste. India – Low acid, creamy and very mild with a full-body taste. Hawaii – Smooth and clean with fruit notes. Vietnam –These beans are generally on the milder side and don’t have a whole lot of acid. Another thing to consider when buying coffee beans is how they’re roasted. The roast can mean all the difference when it comes to taste and the caffeine levels of the beans that you’re considering on buying. Generally speaking, the lighter the roast, the milder the taste of the coffee, and the higher the concentration of caffeine. Light Roasts – These varieties are usually mild and are not as oily as other roasts. Beans can be called by names such as Light City or Half-City. Medium Roasts – With a medium-brown color, coffees made with these beans tend to have a stronger flavor. It’s usually known as American Roast, Breakfast Roast, or City Roast. Dark Roasts – Dark roast beans are black and shiny. They tend to have less acidity the darker they’re roasted. They can be known as European Roasts, Viennese Roasts, Espresso Roast or Continental Roast. Of course, all of this talk about where a particular coffee bean is grown or how it’s roasted doesn’t matter if you don’t enjoy a particular type of coffee. Just because a particular coffee is labeled as one of the best coffee beans around, doesn’t mean that it will be the best for you. Ultimately, you will want to buy a coffee bean that grinds into a coffee that you enjoy. After all, if you don’t enjoy the coffee, then what’s the point? This just means that you may have to buy a few different varieties of beans to find one that you really like. Which is okay, as long as you eventually find one that suits you the best.